Barbados has unveiled a plan to build a cruise ship terminal at Sugar Point in the capital city of Bridgetown. The Sugar Point cruise facility will be developed by a partnership between Barbados Port, Royal Caribbean Cruise and SMI Infrastructure Solutions. 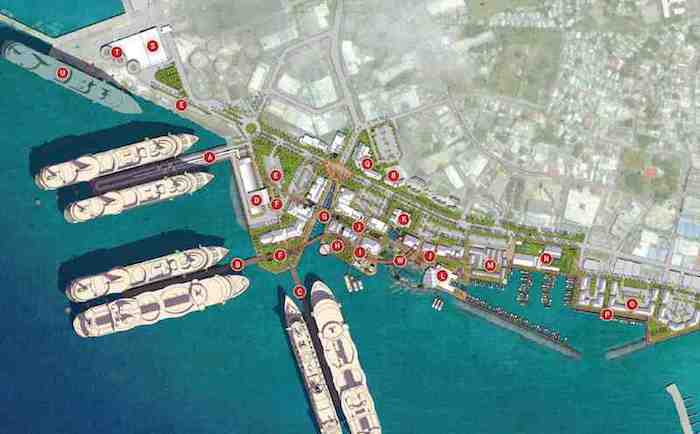 The new facility will help in separating cruise and cargo activities at the Barbados port, addressing space concerns. The new Sugar Point cruise terminal is expected to have capacity to berth some of the world’s biggest cruise ships and will be able to handle six to seven large cruise vessels per day. The project will be carried out in two phases with the first phase costing $300m for the construction of two cruise piers, arrival and departure facilities, and parking lots. The first phase of the project will reclaim 15 acres of land from the sea, on which 100,000ft² will be dedicated for commercial spaces. Dredging work under the first phase is scheduled to commence in November 2012 and should be completed within two years. Barbados Minister of International Transport and International Business George Hutson said that the government is banking on the new facility to attract more cruise ships and increase revenue generated from their passengers. "If we are going to remain relevant, if we are going to capitalise on the opportunities available from cruise tourism, we must renew our plant from the basic infrastructure currently existing to one which will accommodate and service the increasingly large cruise ships," Hutson said. Upon completion, the new facility will comprise dedicated cruise berths, a commercial retail development, new home-port facilities and ground transportation support, as well as additional facilities for the cargo sector. Barbados’ annual cruise passenger traffic has increased from 127,000 in 1985 to 726,543 in 2011; the highest number of cruise passengers was recorded in 2004 when 812,863 people visited the island, according to Caribbean 360. The Central Bank of Barbados has reported the sector’s first half results for 2012, which showed cruise passenger traffic increased by 2.5%.